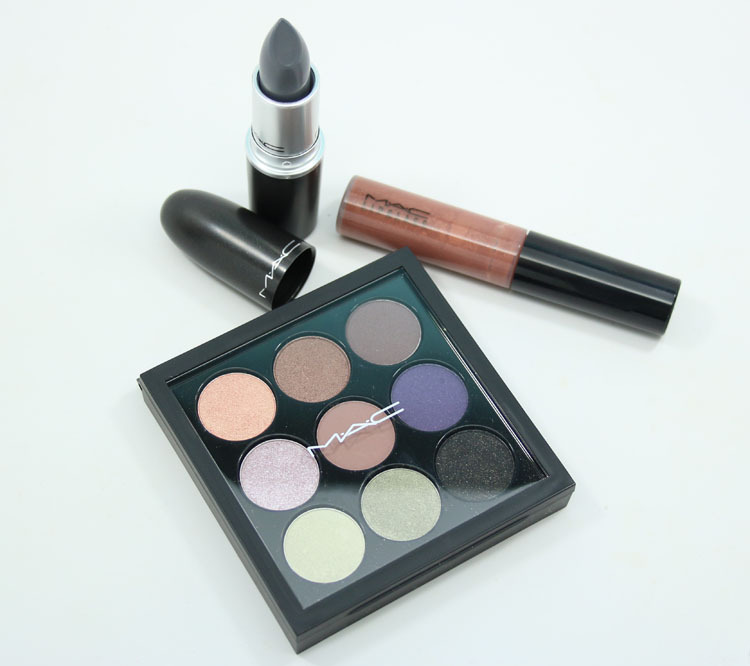 MAC Future Forward is a new limited edition collection which features four women making an impact on the music scene. They are pop star Halsey, R&B singer Tinashe, rapper Dej Loaf and modern funk queen Lion Babe. Ok honestly, I have never heard of any of these ladies. This kind of music just isn’t my thing, but they did create some pretty makeup! The only piece I don’t have is from Lion Babe, and it’s a metallic gold liquid liner. Halsey is a cool-toned grey matte. Dej Loaf is a medium orange/brown with golden sparkles. 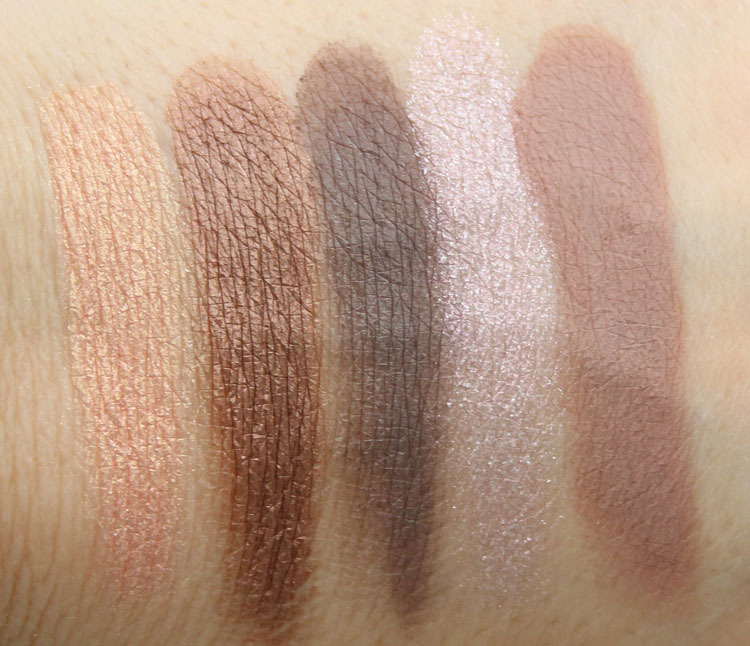 Let’s talk about the eye shadow palette. It was WAY better than I was expecting. Right before this I swatched the Zac Posen palette, which I expected to be amazing, and it kind of sucked. 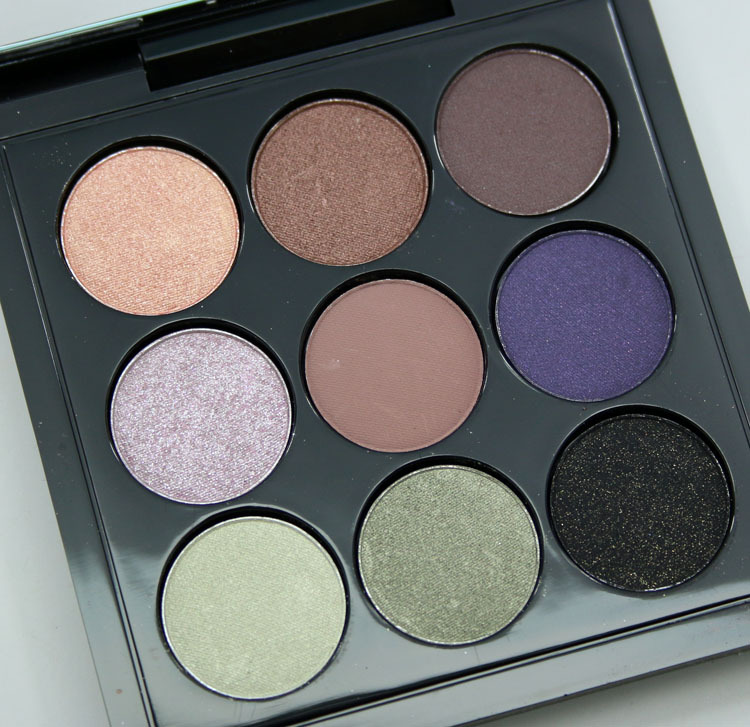 So going off past experiences with some of these eye shadow x 9 MAC palettes, I wasn’t expecting the texture or payoff to be all that great, but it was. It’s WAY better than the Zac Posen one! The shadows feel soft and I was able to pick up a lot of color with just one or two swipes. Everything was very even and beautiful, and I like the mix of warm-toned and cool-toned shades. 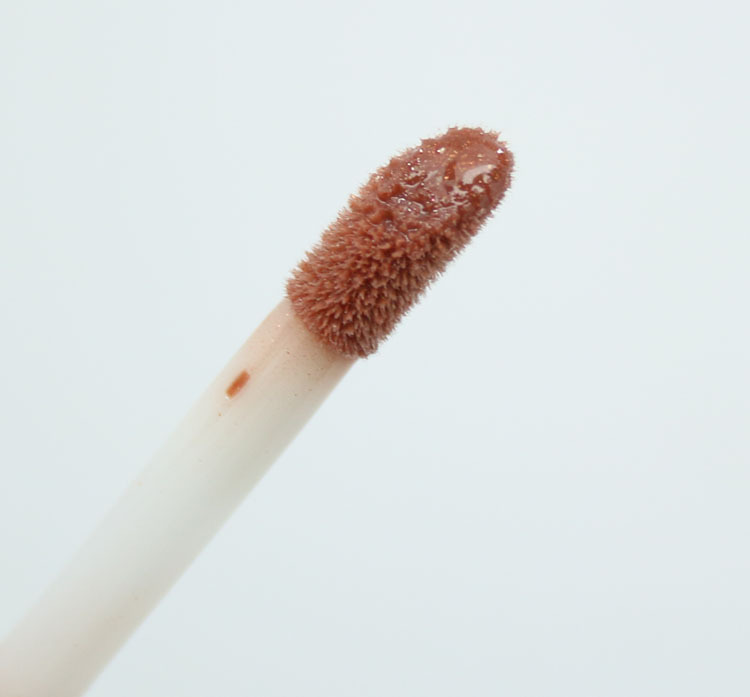 Halsey Lipstick is kind of a must-have for anyone looking for an unusual lipstick shade. 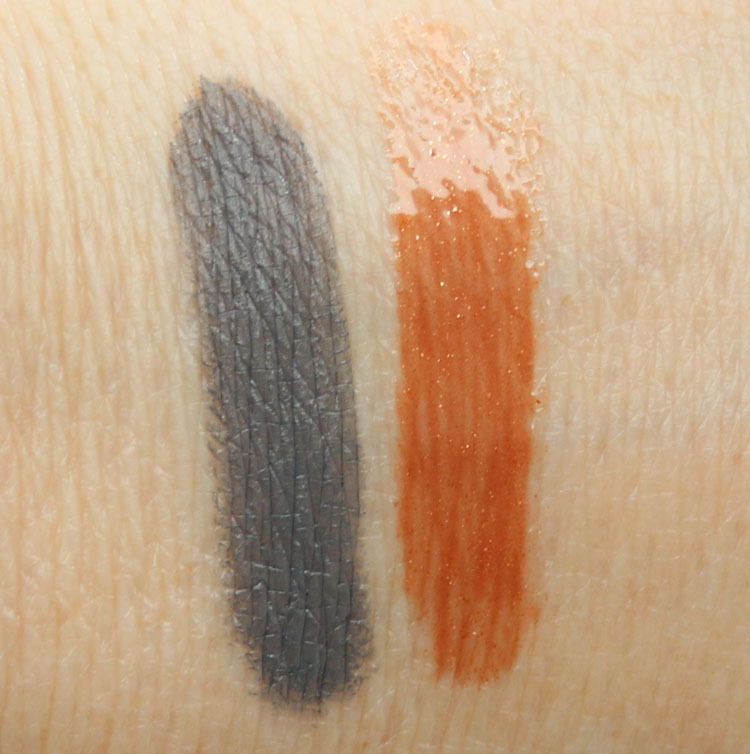 It’s creamy (even though it’s a matte), very nicely pigmented and super cool looking! I don’t know if I have the cojones to wear this in public but I am in love with it. Dej Loaf is a pretty shade, but it’s not really “my” color. 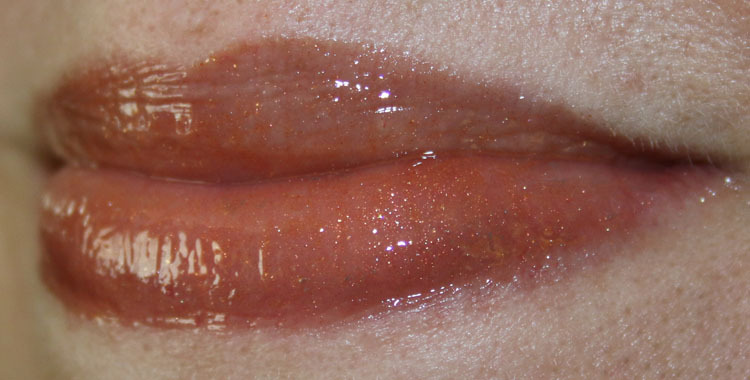 It has nice pigmentation and shimmer, but doesn’t seem that exciting to me. These shades come out in mid March/beginning of April in the US and April/May internationally. See anything here you may be interested in seeing in person? I agree with you! That palette is nicer. The ZP one was just lacking in pigment but I loved the color story. I think you could pull of the lip shade with a simple casual look of just nice skin, lashes, and the lipstick. Jeans and a tee and off to an Oakland Cat Cafe with you! OMG THAT LIPSTICK!!!!!!!!!! I need it. The formula looks great and THAT COLOR. I am thrilled to see companies continue to put out unusual colors like this. 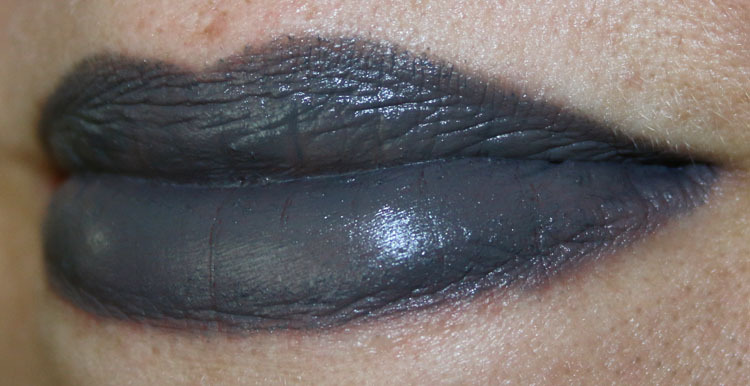 OMG this lip with a rose pink eye look… *DYING* Sorry that swatch just sent me over the edge, lol. XD I’m feeling this in a “new neutrals” kind of way also…LOVE IT. Thanks for the vibes, I need ’em! Maybe one day I shall wear it. I can wear any shade on my nails or hair, not sure why lips are more difficult! I love the orange sparkle of Dej Loaf. That lipstick is so cool! I don’t know if I would ever have the guts to wear it, but it looks killer! This looks like a great collection, a mix of wearable and edgy colors. Great job with the swatches! I NEED that lipstick! The palette looks lovely. I like the greens. I found a similar shade of lipstick from NYX a few weeks and actually wore it in public. (My husband said it made me look like a corpse but whatev). Lol. 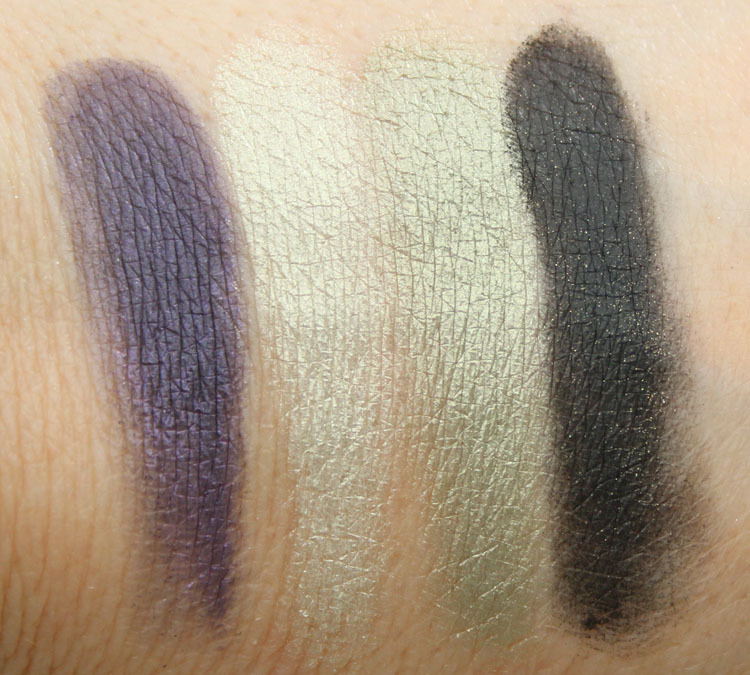 Ooh, the eye palette looks nice. It’s a nice break from all the neutrals we keep seeing lately. I like the inclusion of the greens, the deep purple, and the icy pink. I really like the Tinashe palette. Different colors I’m not use to, and great price! The shadows are nice. Thanks for sharing! OOOOOOOmg, that lipstick is freaking beautiful! I need it, I need it like I’ve never needed a lipstick before! 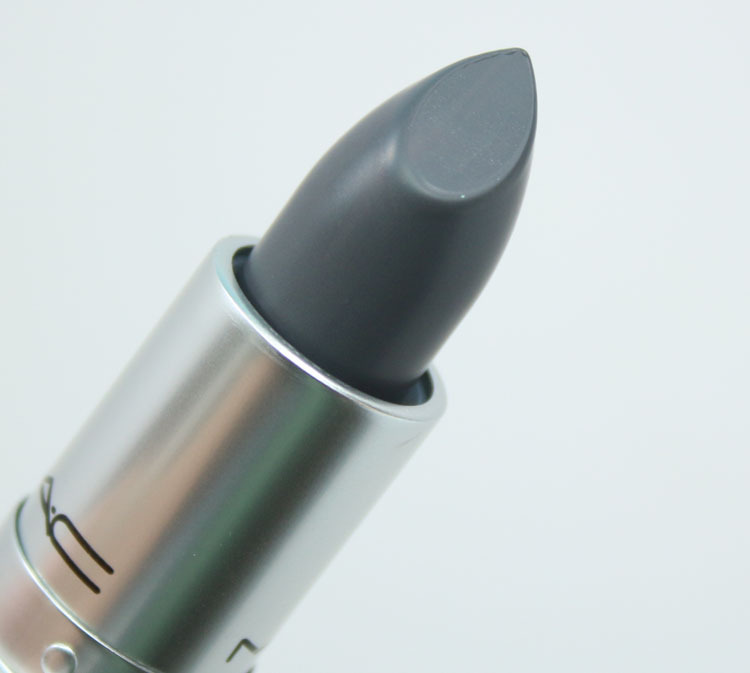 oh my gosh, I want that lipstick!